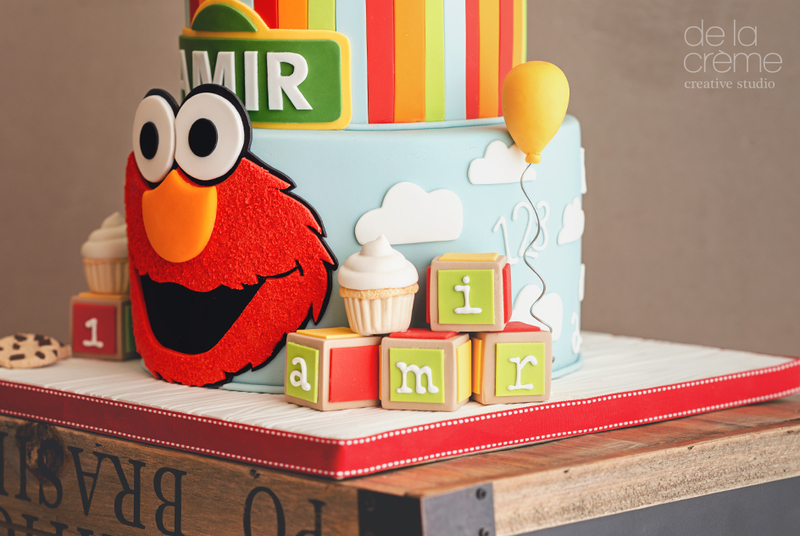 As you can image, I had way too much fun making this Sesame Street-themed birthday cake for Amir—it's practically a party on a plate! Balloons, cake, cupcakes, cookies and bright, cheerful colors—it had everything. 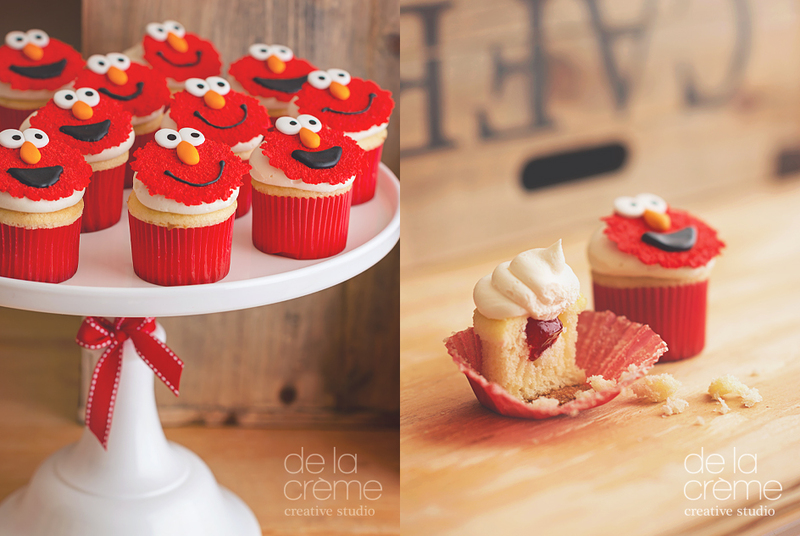 Oh, and let's not forget to mention the cute, little, edible Elmo cake topper. This little guy was just ready and waiting to make his wish. Vanilla and raspberry buttercream cake complete with a matching set of cupcakes filled with a raspberry swirl center.